Dixie L. Johnson is a partner at King & Spalding. Dixie represents businesses and individuals in securities enforcement investigations and conducts internal investigations for corporate board committees and companies. As a partner in our Special Matters Government and Investigations group, Dixie co-leads our Securities Enforcement and Regulation practice. She appears regularly before the SEC, DOJ, FINRA, PCAOB and other federal and state authorities. Since she joined King & Spalding in early 2014, the government has closed almost two dozen investigations without charging Dixie’s clients. Public companies and regulated entities seek Dixie’s representation in complex securities-related government investigations. C-Suite officers and other professionals look to Dixie for representation in internal and SEC or other investigations when their careers are on the line. She is a lawyer’s lawyer, representing law firms and lawyers under scrutiny. She analyzes lessons learned and especially enjoys counseling clients on how to avoid problems in the future. Chambers USA, Legal 500, Benchmark, Who’s Who and others all consistently rank Dixie as a leading lawyer, and Chambers included our practice on the 2017 short list of firms for Securities and Financial Services Regulation. 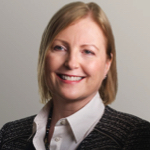 In 2017, Chambers wrote that Dixie “wins praise across the board for her ‘terrific relationship with the SEC’” and noted her “expert, broad-based enforcement practice.” Dixie also has served in multiple leadership roles within the American Bar Association, including as Business Law Section Chair and as Chair of the Federal Regulation of Securities Committee. Before becoming a lawyer, Dixie served for six years as a public school teacher in Albuquerque, New Mexico.